With just a little over a week until Halloween there is still so much to prepare for: making sure we get our family costumes ready, decorating, Halloween parties, mapping out a game plan for trick-or-treating and most importantly getting the right snacks to enjoy during all of this! I am so excited because Halloween is a pretty big deal in our family and we don’t hold back on getting dressed up and enjoying the festivities in every way we can. 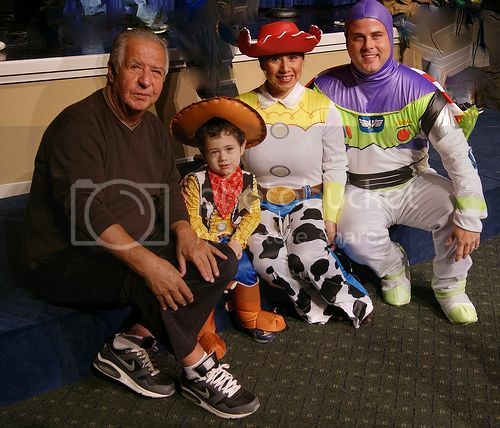 Every year my son, Shaunsito, hubby and I dress up and have a blast. We try to get our friends and family in on the fun, like my dad who is oh-so-serious but STILL dressed up as Mr. Potato Head one year (no photo proof was the compromise) and with the help of a little bit of grandson guilt. And though some of the grown ups may not get into the fun of dressing up, they sure won’t turn away from some yummy treats and a few good tricks! 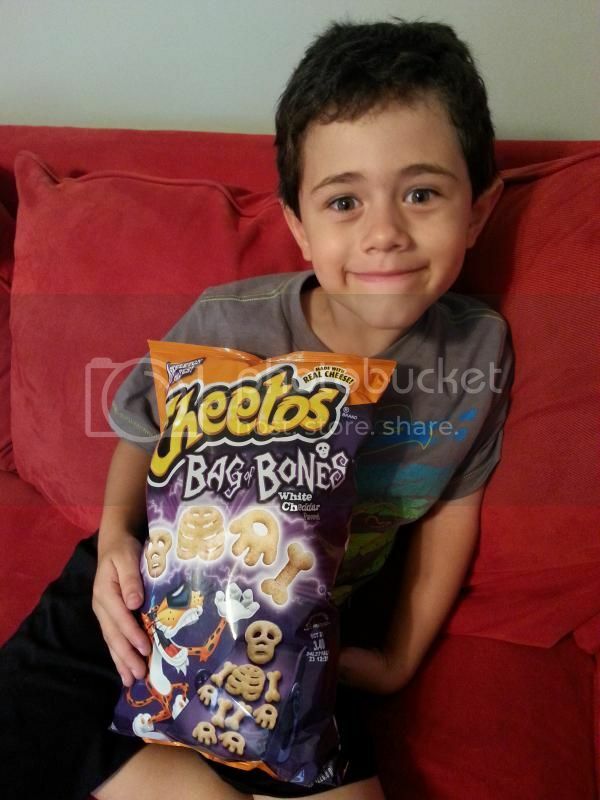 So, with the help of our mischievous friend, Chester the Cheetah, and the new limited-edition Cheetos Bag of Bones you can share your Halloween fun with everyone! Grab your family & friends, don’t forget your bag of white cheddar, skeleton-shaped Cheetos puffs and you can get in the Halloween spirit with some tricks of your own, here on the Cheetos Halloween website! Toilet Paper Your Neighbor’s Homes! 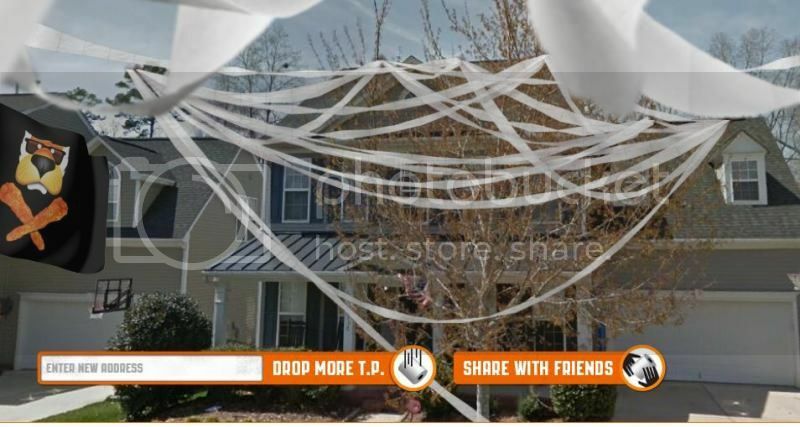 : Digitally prank your neighbors (I chose my sister @Mami2MommyNC, bwahaha!) via Chester’s #ProjectTP, a partnership with Google Maps, Google Earth and Google Maps Street View. Virtually toilet paper any structure, anywhere in the world by just entering a street address. Fans also have two opportunities to enter a weekly sweepstakes for a chance to win gift cards or cash, up to $1,000! After checking out all the tricks on CheetosHalloween.com, come back here for an extra treat below, thanks to our best buds at Cheetos. 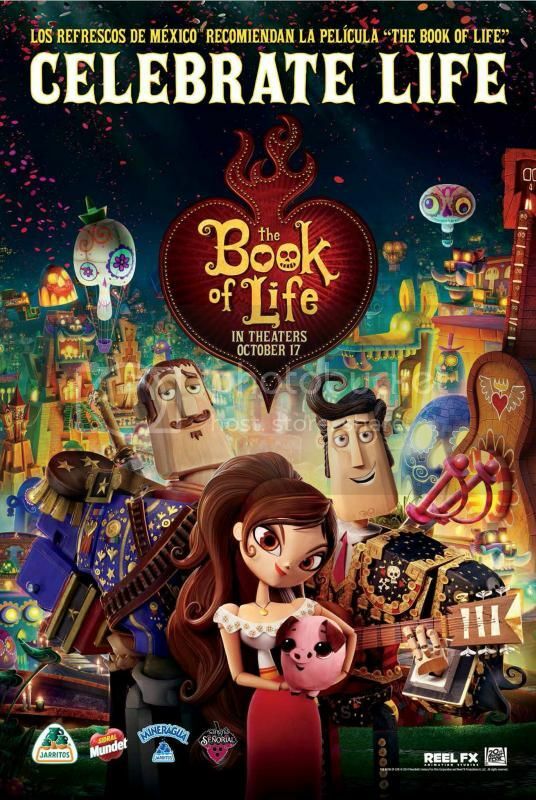 Go ahead and enter to win a Family 4-Pack of tickets to see the movie, The Book of Life, out in theaters just in time for Halloween and, of course, for Dia de Los Muertos – Day of the Dead! WHAT WILL YOU AND/OR YOUR FAMILY BE DRESSING UP AS FOR HALLOWEEN? -Share a link below of your Tweet or Facebook comment/share of the contest. -Pinterest and/or Instagram of your favorite Halloween/Dia de los Muertos photo & tag @Mami2Mommy #ProjectTP. -Share below any special or fun Halloween memory that you have! Begins: 10/20/14 at 5pm EST and Ends: 10/27/14 5pm EST. Winner chosen by Random.org and will be notified via email and has 24 hours to respond or new winner will be chosen. Open to US residents only. Must be 18 years of age or older. WINNER IS COMMENT #2 – KATE K – CONGRATS! Disclosure: This post is sponsored by Frito-Lay/Cheetos however, all cheesy opinions and spooky ideas are completely my own. Truthfully, we haven’t picked out costumes yet! I guess I’d better get on that! My kids are each going their own way this year. My oldest daughter is going to a super cute and chic happy pink monster. My son is Raphael, TMNT, and my youngest is going for a unicorn. It is also my birthday so I usually dress up as the birthday girl! :). We cannot wait to see the Book of Life! My husband and I are dressing up as Frankenstein and the Bride of Frankenstein! We are dressing our Great Dane up as Scooby Doo! We will all be dressing up this year, I will be a witch, my husband will be Incredible hulk and our daughter wants to be Elsa. Hope we can see the Book of Life! Only our 8 year old son will be dressing up and he will be the green character from Minecraft. Hollie – It can be a tough sell to convince the kids to go with a family Halloween costume plan! Hubby and I usually let our son pick and we base our costumes around his. This year could get interesting, lol! My daughter will be Wednesday Addams. Son a ninja. I’m going to be super woman. Hubs might sit this one out. A special Halloween memory is when my youngest was just a baby. We dressed him like Uncle Fester (he had a bald head) I took a light bulb shaped stress ball and glued it to the outside of his binky. He looked like he had a light bulb in his mouth. So cute. My son is dressing up as a monster…unless this freaky hot weather stays and then he’s going to be a pirate. I will be staying home passing out candy while my husband takes little man trick or treating!